John E. Ives, a former executive vice president of Shands Teaching Hospital and Clinics Inc., died Thursday. He was 89. Ives served as the hospital’s chief executive from 1977 to 1987. His accomplishments included establishing the ShandsCair emergency transport program; turning Shands Teaching Hospital into a private, not-for-profit corporation that was renamed Shands Hospital; opening a 476-bed Patient Services Building and the hospital’s central Atrium; and holding the first Children’s Miracle Network telethon at Shands Hospital. In an October interview marking the 60th anniversary of what is now known as UF Health Shands Hospital, Ives said he was especially proud of leading the effort to make sure the overall quality of the hospital matched the talent and dedication of the medical staff. “We improved patient care markedly and patients responded to that,” he said. “I see people even now who remark on their time at Shands in the old days — and that’s a good thing. From his earliest days at Shands, Ives said he noticed and fostered a sense of collegiality and cooperation. “Shands came together and we were all one big group of people — friends at every level. It was a comfortable place to go because the people I worked with made it comfortable,” he said. Ives began his career in the 1950s as the assistant director of Yale-New Haven Hospital and assistant to the dean at Yale University School of Medicine, in New Haven, Connecticut, and then administrator for Middlesex Memorial Hospital in Middletown, Connecticut. Following his decade at Shands, he served as the executive vice president/CEO of St. Luke’s Episcopal Hospital in Houston and later was CEO for Memorial Medical Center in Savannah, Georgia. He also was the chair of the Florida Hospital Association and he consulted for the National Institutes of Health. Ives had an important role in the growth and success of the hospital system and was committed to serving the Gainesville community, said Ed Jimenez, CEO of UF Health Shands. 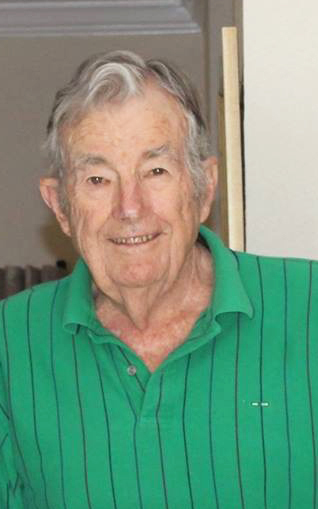 He also was an avid golfer and a loving husband, father, grandfather and great-grandfather. A celebration of life service will take place from 5 - 7 p.m. Wednesday at Gainesville Country Club.